At The Corvallis Clinic Surgery Center, we know you have a choice of where to receive your medical services. Thank you for allowing us to care for you. Advance Directives – Pursuant to ORS 127.625 and ORS 127, patient Advance Directives DO NOT apply while you are a patient at The Corvallis Clinic Surgery Center. For questions, call 541-754-1254. Patient Bill of Rights – Here is a copy of our Patient and Family Bill of Rights. If you have any questions, please contact us at 541-754-1254. 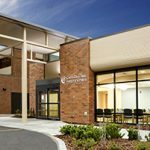 Physician Owners – The Corvallis Surgery Center is owned and operated by The Corvallis Clinic. A list of our physician shareholder owners who provide services here is available at the Surgery Center upon request. Financial Responsibility – Most surgical procedures are not completely covered by insurance. Payment is due prior to your admission. You will receive a telephone call prior to your surgical appointment, outlining the details of your financial obligations for your procedure. This is a service we provide to help you prepare. Questions – If you have questions regarding the cost of your procedure or you are not contacted in advance, please call 541-754-1254. You may also contact your insurance company directly. The number is located on the back of your insurance card. If you have a question regarding your bill after your procedure, please call 541-754-1279.